CBD Oil Review rates the Kannaway line with five stars because it qualifies for the Quality, Safety, Charity, Mission & Innovation Badges. Kannaway operates on the direct sales model, soliciting global ambassadors to distribute their products. They equate to the Mary Kay of the CBD sphere with teams around the world counted among the Kannaway family. We’ve seen this model before, and most often, the direct sales CBD businesses tend to be lacking when it comes to our methodology. But we have to hand it to Kannaway. They check all the boxes, and although we’re historically suspicious of their business model, their products and processes are sound. Kannaway has a massive global operation, an exceedingly large product line, and a website overwhelmed with content. Their process begins with non-GMO, sustainable hemp grown in Northern Europe sans chemical growing agents. They pride themselves on stringent testing protocols. The first round of testing occurs after harvest, followed by the arrival to the U.S., and concludes with each batch of final product. ProVerde Laboratories and Food Safety Net Services conduct said tests for potency and contaminants. We applaud Kannaway for their transparency and industry-leading standards for testing. Get ready, Kannaway packs a whopping product line broken up into five segments. The first, flagship line has what you’d expect: premium oil, salve, energy chews, vape pens and cartridges, and capsules. But there’s an interesting product that stands out: flash-distilled humulus oil. The CBD is sourced from the flowers of the humulus kriya plant, not industrial hemp. They’re not the only one in the game procuring humulus, but it’s certainly uncommon at this point. Kannaway also has a pet line, a skincare line, and clothing made from hemp. The final product category called Rev!ve features three formulations of Kannaway’s proprietary Bibong ® CBD Herbal Blend, a combination of CBD with Bi-bong herbs. The Bi-bong herbal formula is an ancient mixture from East Asia whose power lies in its specific combination of potent herbs. Pretty cool stuff. Bottom Line – We recognize Kannaway as an innovator, considering both their Bibong ® CBD Herbal Blend and the fact that they are the first direct sales company we’ve seen in this space that covers all the bases. Even though we’ve traditionally been reticent to award high marks to these types of businesses, we tip our hats to Kannaway for promoting excellence in safety and ethics. Kannaway sources non-GMO, sustainable hemp from Northern Europe and employs supercritical CO2 extraction to create their oils. Kannaway conducts three rounds of independent laboratory tests for purity and contaminants and posts results for each SKU. Kannaway is dedicated to producing the purest, safest, richest hemp in the world and providing opportunity for their ambassadors. 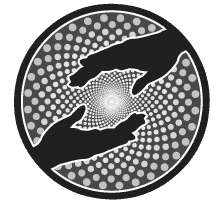 Kannaway is an active supporter of ECHO, a provider of education, collaboration, and hope for people in need of CBD with financial obstacles. 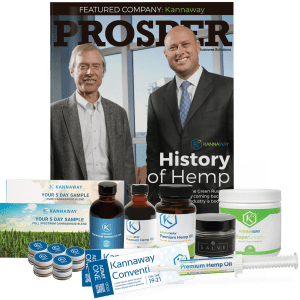 Kannaway has developed a proprietary blend of CBD with Bi-bong herbs for synergistic natural benefits, and they occupy a unique position as a direct sales business that adheres to our methodology. My company only has kannaway cbd. We did alot of research and trying cbds. Kannaways is by far the best and highest quality, the lab tests are right their and we could be happier. 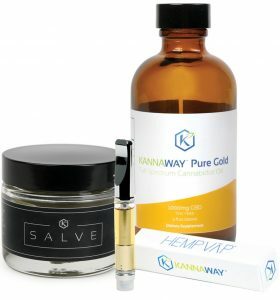 Kannaway's Gold product is the first and only CBD listed in the Physcian's Desk Reference as of 2019. No pun intended, but that speaks "volumes" to me! Can you please explain how a company which is selling one of the most expensive CBD products on the market can be in any way labeled as good? They are building a pyramid scheme on the ignorance of sick and dying people. How is a mother convinced spending 250 EURs on a CBD oil that costs half the prices even at companies you review on this site, justyfied? NIH endorses Kannaway on their website. That is the BEST endorsement a company can get . I will be purchasing their CBD oil today. As an educated consumer, I know that all CBD brands are not alike thus the whole purpose of this website, CBD OIL review. Therefore, one would not expect all CBD brands to have the same pricing. Pyramid schemes are illegal... Kannaway is not. I've been taking kannaway full spectrum oil and revive pm for two weeks now. I tried it to see if it would help with my insomnia and daily headaches. It has done so much more than that for me though. Since the first night, I've been sleeping 6-7 hours per night, rather than 1-3 hours. I've only had two headaches, my mood is better and my chronic back and neck pain is completely gone. I'm hooked on this stuff for life! I started using CBD oil in May. I have felt relief from my arthritis. However, I have since received three different bottles that that were solid 1/2 to 1 inch up from the bottom. The company policy is that they will not replace a bottle after 30 days. A bottle lasts longer that 30 days for me plus I ordered two bottles at a time so I did not know in time to get a replacement. I am happy with the product and give it 5 stare. I do not give the company any stars. The product is very expensive and to not replace, not just one but three defective products speaks very poorly of this company. Check your oil immediately when you receive a shipment. I will not order CBD oil from them again. I ALSO WILL never deal with KANNAway again! They were impossible to get ahold of. I was never on auto shipment - they kept sending me - at $450 a tube of GOLD. I did not realize until master card was over charged. I was told it was 2 for one for the GOLD it was not. I had try to get ahold of them. They listened on other end after 10 minute wait. The woman was rude, spoke over me. they have no respect for the customer. Do not order from them - it is not a nice experience. Kannaway has worked well mom's back pain but it took a lot longer than we expected for it to work. On the 11th day her stenosis pain was blunted a little and by the end of the third full week she was able to walk without almost any pain for the first time in several years. Thankfully she is persistent. Maybe if she had taken a higher dose than the 25mg capsule per day she may have seen quicker results but it is working now and after 6 months of use that is what really counts. If your mom felt better after 3 weeks, I would call the treatment successful. Successful. I'm so happy that it worked for her! I have arthritic pain and it's working for me too. I’m a pet store owner and i have 3 cats and an older small dog. My pets have done incredibly well with a cannabis CBD oil. An independent distributor from Kannaway approached me raving about her products. I decided to give the pet oil a try but within a week my cat started throwing up again and my dog started coughing again, even at five times the recommended dose ! (both problems had nicely resolved with cannabis CBD for a lesser cost). I told the distributor and asked for a refund but was told no refund is available as the product works differently on everyone ! After paying $180 for a product that did not work i am not happy ! I only tried the oral injectable as I have fibromyalgia & other pain,as long as I remember.Upon trying that I felt my pain melt away. I take 8 medications, 6 of which is to help control my pain. That night I slept great, I woke with less pain than normal! That really worked! Nothing has worked as great as that! Kannaway has been life changing for me and my family! Kannaway CBD is helping in so many ways for me and many friends. Consistency is key otherwise you’ll have those who say it’s not helping anything. I won’t go a day without it. The salve is a godsend for my friends migraines and another with degenerative discs in her neck. Two days of use and she’s thrilled with the results. I'm leaving this review for my mom. She is using the Kannaway cbd capsules for her fibromyalgia. She bought them from a co-worker that sells this brand. She started taking one capsule a day containing 25mg of cbd. She is now up to 3 capsules a day and is not seeing any relief for her pain management. I will be purchasing a different brand for her as I know cbd will help with her fibro. Just not this brand, apparently. Its recommended that 50 mg is the base for a healthy person so likely 75mg is not enough to address your mother's health issues. I am surprised the person selling them to your mother did not advise her of this! Everybody is different and not everyone will have the same response. 50mg is the standard recommendation, but the individual has to experiment after about 7 days with different mg's.What Kannaway product are they taking? They may need a different product. Kannaway is my lifeline. Hello, just wanted to ask how long she took it for? Not all products work for everyone. I have clients that one product does not work but another one we carry does. Every BODY is different. Your distributor should be able to help you find the one that works. Personally the capsules would not be the first product I would have suggested For Fibro.I wish you and your mom luck on finding the right one! My step mom has the same problem but she takes the capsules in the morning and oil at night. She has not had any nerve pain and has been on it for a month. This product is truly amazing!! I would suggest talking to the person who sold it to her. Sometimes people are in it for the money and don’t educate themselves on the product and then there are people like myself who want to help people get better. I have helped so many people with this product. Brandi, sounds like you are a distributor for Kannaway? I know this is an old post, hope this reaches you or anyone that can answer. Have any Fibro patients used Full Spectrum Kannaway Oil to ween off Fentynal Patch without suffering withdrawals? Thank you in advance. 50-100mg is a basic maintenance dose to maintain balanced health. If there is a pre-existing or acute issue a higher dose or longer time is likely needed to see results. Maybe the oils or oral applicator will give better results to start with and use capsules for daily maintenance once things improve. I had zero expectations when I tried Kannaway’s CBD products. I do not have chronic pain, inflammatory diseases or anxiety. I tried it ‘just to see’. Mind blown. The Revive line of products combines CBD Hemp oil with TCM (Traditional Chinese Medicine) herbal formulas. What I noticed is that I do not have brain fatigue at the end of the day. I’m 60yrs old & have been a hairdresser for over 30 of those 60 years. I’m tired. I had had to cut my hours to part time because I just couldn’t keep up like I used to, both physically & mentally. All that has changed with Kannaway’s Revive formulas. I’m now able to work full time again without wanting to murder someone by the end of the day. I had no idea that brain fatigue was a thing or that it could get better. It has brought a new level of appreciation for my life as I now have the energy to enjoy it. Oh yeah, I’m also weaning off of my antidepressants that I’ve never been able to get off of. I’ve been on them for 26 years. So there’s that bonus. KANNAWAY is amazing and has changed my families life! My husband has debilitating gout in his toes, feet, ankles, knees, wrists and elbows trying prescriptions and hospitalizations without success. KANNAWAY is the only CBD Oil that has worked for him.My daughter was bit by a tick when she was 5 years old and contracted Rocky Mountain Spotted Fever and mesenteric lymphadenitis (abdominal migraines) from this and has had it for 14 years without relief :( She started vaping Pure CBD Oil and it has taken her pain away! You may only give this CBD a rating of 3 stars, but my son has an extremely severe form of Epilepsy, and I have tried SEVERAL different brands of CBD oil, some were "snake oil" testing out at having almost no CBD in them! (and $500 a month for those snake oils!!) We also tried many well known brands, and they all worked fairly well, but Kannaway has by far worked the best!! Kannaway saved my life. I suffer from depression, anxiety, Chiari 1 and migraines. Their CBDs saved my life and now am a Brand Ambassador. I live sharing how it helped me so I can help others. Hi Ellen, I have Chiari also. I just started taking CBD oils a little over a week ago. Can you tell me how else it helped you with the Chiari pain?